Primary and secondary schools throughout the United States have seen the demands placed on their cafeterias rise, with students relying on them not just for lunch, but for breakfast and even after school meals. According to the School Nutrition Association, there are 2.3 billion breakfasts served in American schools each year, on top of the 5 billion lunches sold to students annually. It's important for students to be able to get a filling, nutritious meal during the school day, but with tight bus schedules and increasingly full class and after school activity schedules, it's difficult for the kids to get a good meal. That's why schools are turning to grab-and-go services. With this model, cafeterias can prepare meals ahead of time, store them in kiosks or coolers throughout the school and let student take them when they need them - all on their schedules. Grab-and-go service is essential for keeping students fed during the busy school day. 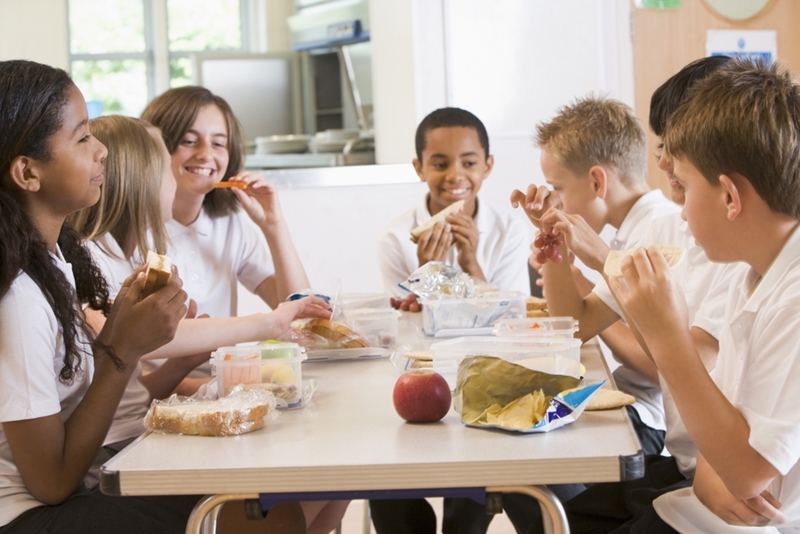 Not only do school cafeterias need to contend with students' need for fast, anytime service, they also need to adhere to stricter nutritional standards in the food they serve. This means using fresh meats, vegetables, fruits, whole wheat breads and low-fat dairy in the meals they make. The challenge here is that these ingredients tend to spoil very quickly compared to their processed counterparts. Over-ordering leads to spoilage, which in turn leads to wasted food and money. A SaaS inventory management solution helps schools use fresh ingredients while minimizing waste. Using an in-depth look at historical sales data to inform order forecasting, SaaS inventory management platforms help cafeteria managers order the right amount of food for their purposes. "SaaS inventory management solution helps schools use fresh ingredients while minimizing waste." One of the difficulties schools may run into as they incorporate grab-and-go meals into their foodservice operation is being able to predict exactly when students will take their meals. Since they can buy them at any point in the day, the traditional breakfast and lunch times will be much less prominent. SaaS solutions are accessed through the Internet and can be updated by anyone with access to the system. Managers throughout the supply chain can get a real time view of inventory levels and sales forecasts and make critical decisions about ordering on the fly. If it appears likely that a stockout will occur before the day is over, cafeteria managers will be able to quickly place an order right through the system and receive fresh product that day - essential for boosting sales. The modular design of SaaS platforms means that existing data stored in spreadsheets, as well as POS and accounting systems can be easily integrated into the new system. This is critical for the cafeteria that is redefining its business model into a grab-and-go service style. SaaS platforms reduce the hassles that come with trying to make an operation more agile and efficient while offering the adaptability to work with existing systems, eliminating the need for a total overhaul of the entire operation.